Explore 15 acres of woodlands, hills, paths and carefully-crafted, unique fields in an unforgettable simulated battle experience. 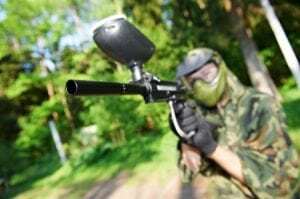 Battle Creek paintball fields present complex combat arenas for friends, family, co-workers and other groups to enter in safe, exciting paintball battles. 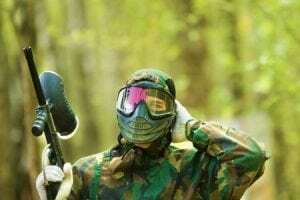 Book paintball fields and paintball parties in New Jersey for you and your friends to compete for pride, bragging rights and the ultimate paintball kingship. Battle Creek paintball arena carries warriors of all ages into intense game-play and contests of wits, strength, precision and strategy. Battle Creek is the perfect venue to host thrilling birthday parties, office parties, graduation parties and other occasions. First-time shooters as well as experienced teams both enjoy competing with the best equipment from top brands, clear, fair rules and New Jersey’s most enthralling paintball landscapes. Plan a unique outing to entertain and engage sporting friends and family or take part in Battle Creek’s regular tournaments or special night games. See the Battle Creek calendar to view upcoming events and check out the field designs and videos for a glimpse of the action. Contact Battle Creek for more information or to book your next event. Paintball is a physically demanding sport that requires thoughtful preparation to succeed. 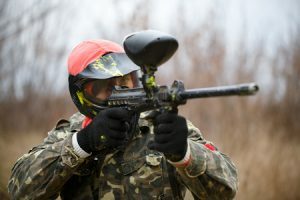 In addition to bringing standard gear like a marker, paint and goggles, it’s a good idea to have a few other items on hand during a paintball match as well. Check out a few of our favorite paintballing accessories below! Our first suggestion is especially helpful when playing woodsball in densely forested areas. It can be hard to focus on finding your target when you’re distracted by biting insects. By applying bug spray before a match, you’ll have one less thing to worry about while you play. It’s always a good idea to wear sunscreen when you play paintball, even on cloudy days. After all, nothing can ruin a long day of paintball quite like a nasty sunburn. We recommend wearing at least SPF 30 sunscreen and reapplying every couple of hours to prevent skin damage from the sun. Be sure to look for “broad spectrum” sunscreen as well, which is designed to protect against both UVA and UVB rays. Paintballing is a messy endeavor, and a simple hand towel can be an invaluable tool when your goggles get obscured by splattered paint. You can also use a towel to mop sweat off your face and hands in between matches so that you can get back in the action without worrying about excess sweat impacting your performance. There’s always a possibility that you might get a foot blister when sprinting from cover to cover during a paintball game. Instead of letting these minor injuries sideline you for the rest of the day, bring a package of blister bandages, which are designed to relieve pressure and prevent infection. Ready to put your paintball skills to the test? Give us a call or contact us online to schedule a match at Battle Creek today! 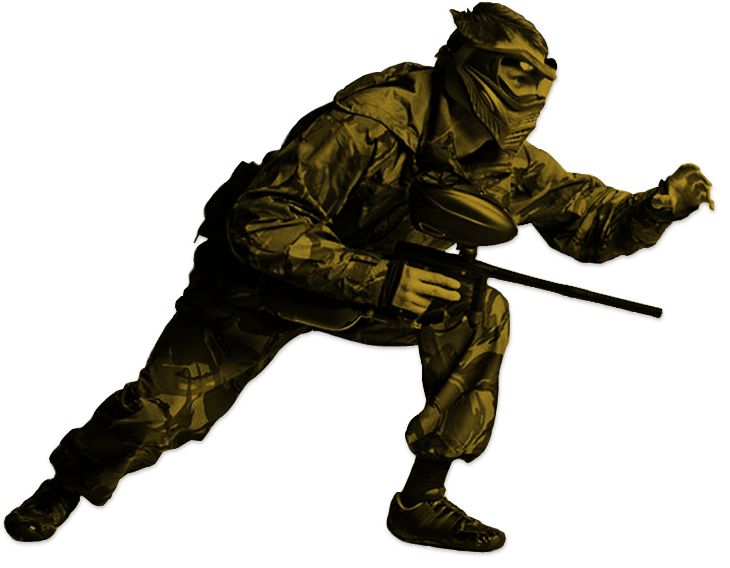 In the heat of a fast-paced match, it’s important for your paintball marker to perform as well as it possibly can. The good news is, there are several straightforward upgrades you can make to your marker to give yourself a leg-up on the competition. Check out three easy ways to improve the performance of your paintball marker below! Frustrated with your marker’s accuracy? If no amount of practice seems to be making your shots more accurate, you may want to consider upgrading your barrel. There are plenty of barrel upgrade options to choose from, but 12-16-inch barrels typically offer the best accuracy. Just keep in mind that especially long barrels can reduce the range of your shots. Short barrels, on the other hand, can offer additional range at the expense of accuracy. Want to improve your rate of fire? A trigger upgrade might be just what you’re looking for. A double trigger is an effective, affordable and easy-to-install option for paintball beginners. This will make your trigger easier to pull and allow you to shoot more paintballs, faster. Other more advanced trigger upgrades include response triggers and electronic triggers. Want to make your marker more efficient and accurate? Swapping your Co2 tank for a high-pressure air, or HPA, tank is probably the right move for you. This will not only allow you to shoot your paintball marker faster and more accurately, it will also improve its performance in cold temperatures. HPA tanks can be considerably more expensive than Co2 tanks, but they offer a significant upgrade in performance. Want to test your upgraded marker in the fields at Battle Creek? Give us a call or contact us online to book your next match today!